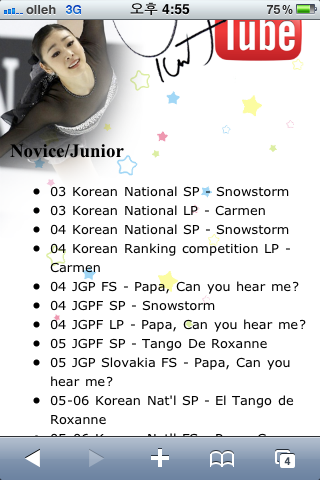 FEVERS Media - figure skating forum - [FEVERSmedia] Check out iYuNaTube on iPhone! - 아이폰에서 볼 수 있는 연아플레이어를 소개합니다! [FEVERSmedia] Check out iYuNaTube on iPhone! - 아이폰에서 볼 수 있는 연아플레이어를 소개합니다! iYuNaTube is a mobile Youtube player for iPhone users. 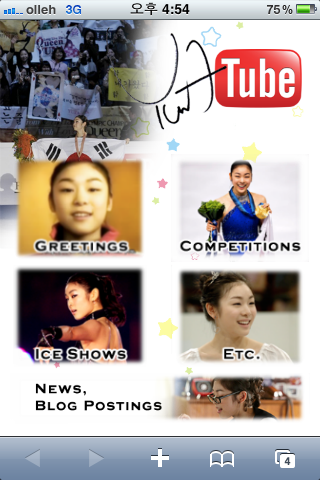 This player is dedicated to Olympic Champion Yu-Na Kim's competitive skating, ice shows, interviews, commercials, etc. 다양한 영상자료들을 모은 아이폰/모바일 전용 플레이어 입니다. 이제 김연아선수의 환상적인 세계를 http://yuna.paulshin.ca 에서 iYuNaTube와 함께 하세요!